01.11.2012. "Hvino TOUR News" (HTN), the first English-language online news resource on Georgian tourism and hospitality industry, was launched on November 1 at http://tour.hvino.com. "Hvino TOUR News" will help in international promotion of Georgian tourism by uniting all news, press releases, and media articles in English "under one roof". Since September HTN has been fully operating, and today it is officially announced. HTN is a "junior sister" of Artenom's wine business news resource “Hvino News”, which today has a small anniversary - 6 months of operation. The team behind both information projects is working to deliver quality news and information to its global readership as fast as possible. 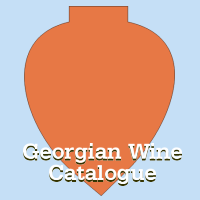 “We are happy to broaden our scope by including tourism and hospitality news from Georgia, and we hope to contribute in raising global awareness about Georgia's wine and tourism – two most unique Georgia’s offers to the world”, - said the editor-in-chief of Hvino.com. As always, publication of news coming from professionals is free. Press releases and articles from tourism and hotel professionals in English are welcome. The publishers also offer assistance in preparation and editing materials, if necessary. Another convenience of Hvino TOUR News is easy access by all modern means: readers may subscribe for receiving our news by e-mail or follow HTN via Facebook, Twitter, LinkedIn, or RSS. A built-in site translator offers translation of content into 54 languages including Georgian.